Police on Monday ordered a man to stay off South Burlington school district property amid a deepening controversy over the decision to ditch the high school's Rebel nickname. Superintendent of Schools David Young said he sought the no trespass order for Dan Emmons "to ensure the safety of all of our students" after police last week issued Emmons a citation charging that he harassed a student. Emmons is due in Vermont Superior Court April 13 on charges of stalking and disturbing the peace by use of electronic communication. The charges stem from an ongoing battle over the Rebel moniker, which opponents say is racist because of its association with the Confederacy. The school board voted in February to change the name. Emmons does not think the name is racist, and ran an unsuccessful campaign for school board partly on that platform. On Friday, Emmons removed himself from the Rebel Alliance group — which has called for restoring the name — until the citation is resolved. The threats and conduct involved the student's position on the potential Rebel name change, South Burlington police said in a statement about the citation. "Over the course of the investigation it was determined that Emmons personally interacted with the student on at least two occasions during which he made comments the student felt threatened by. In addition, the investigation revealed additional threats were made toward the student via social media," the statement said. Emmons referred requests for comment to his attorney, William Norful, who called both the citation and the no trespass order baseless attempts to squelch unpopular speech. "This is an ideological witch hunt. If you don't toe the party line, if you disagree, if you advocate for meaningful dialogue, we're going to squelch you," Norful said. "It's very 1984." The order means Emmons cannot pick his own children up from school or go to school board meetings, Norful said. "He has not threatened to harm, he has not committed harm," the attorney said, adding that the allegations are "absolutely over the top, unwarranted, part of the persecution." Emmons "has only used words and they haven't been racist words, they haven't been violent, they haven't even been vulgar. They have been questioning," Norful said. Young said the case is not about free speech, but declined to get into the details of the complaint. The South Burlington school district accepts that people disagree on a variety of issues and does not try and suppress debate, he said. "We have, you know, become a better system because of the feedback that we have received and I think that's true now," Young said. Police Chief Trevor Whipple did not respond to a message and did not immediately respond to a public records request for documents in the case. A police affidavit outlining the details of the allegation probably is not yet written and might not be until the day before the court session, said Norful. The current controversy comes as residents prepare to vote Thursday for the second time on the South Burlington school budget. 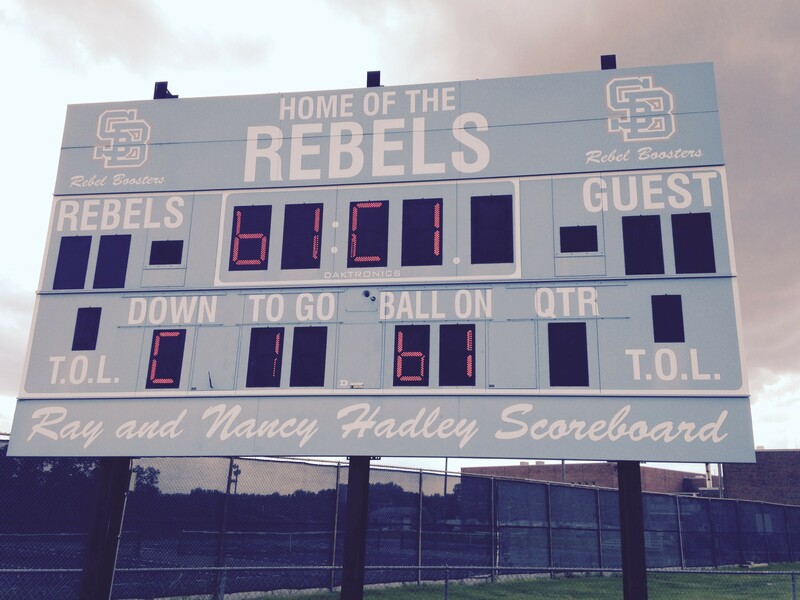 It failed on March 7 after opponents objected to allocating funds to scrub the Rebel name from uniforms and fields. A public information session on the revised budget will take place at 6 p.m. Wednesday at Chamberlin Elementary School.